The default picture file is located in C:\ProgramData\Microsoft\User Account Pictures\ and is called user.bmp. I recommend replacing the file with an image resized to 128 x 128 pixels and saveed as a 24-bit bitmap (.bmp) file for the best looking picture. 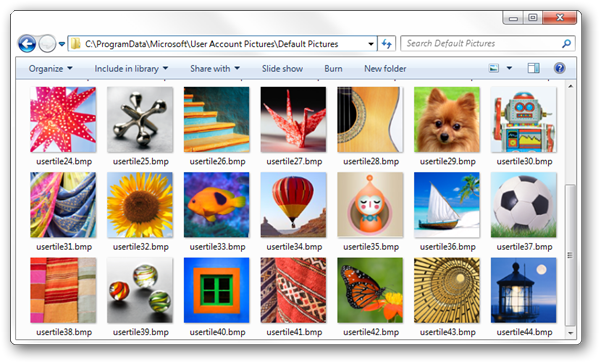 If you don’t have a good replacement you can snag one of the stock user account pictures from C:\ProgramData\Microsoft\User Account Pictures\Default Pictures. To create a backup, rename user.bmp to user2.bmp. Then just copy your resized bitmap to C:\ProgramData\Microsoft\User Account Pictures.